$ sudo smartctl -c /dev/sdb smartctl 6.6 2016-05-31 r4324 [x86_64-linux-4.15.0-30-generic] (local build) Copyright (C) 2002-16, Bruce Allen, Christian Franke, www.smartmontools.org === START OF READ SMART DATA SECTION === General SMART Values: Offline data collection status: (0x82)	Offline data collection activity was completed without error. Auto Offline Data Collection: Enabled. Self-test execution status: ( 0)	The previous self-test routine completed without error or no self-test has ever been run. Total time to complete Offline data collection: ( 7680) seconds. Offline data collection capabilities: (0x7b) SMART execute Offline immediate. Auto Offline data collection on/off support. Suspend Offline collection upon new command. Offline surface scan supported. Self-test supported. Conveyance Self-test supported. Selective Self-test supported. 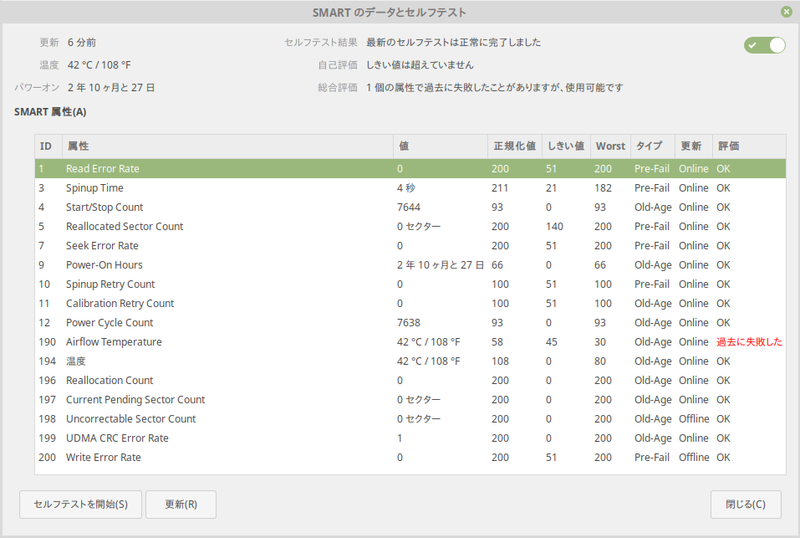 SMART capabilities: (0x0003)	Saves SMART data before entering power-saving mode. Supports SMART auto save timer. Error logging capability: (0x01)	Error logging supported. General Purpose Logging supported. Short self-test routine recommended polling time: ( 2) minutes. Extended self-test routine recommended polling time: ( 90) minutes. Conveyance self-test routine recommended polling time: ( 6) minutes. SCT capabilities: (0x103f)	SCT Status supported. SCT Error Recovery Control supported. SCT Feature Control supported. SCT Data Table supported. 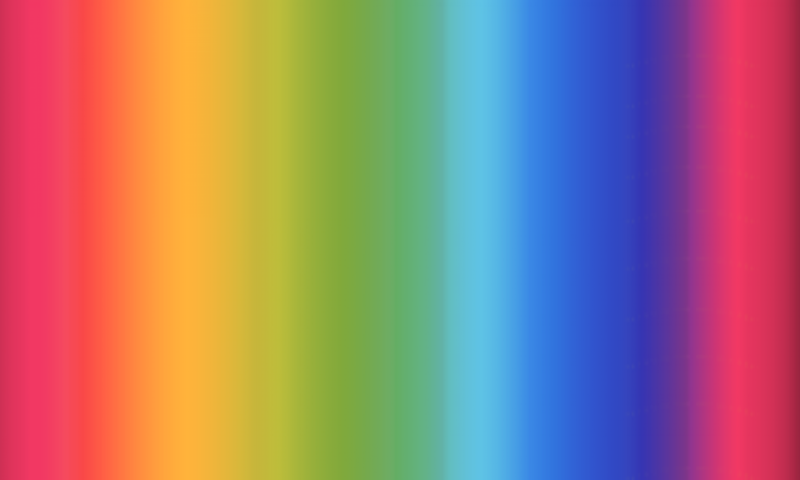 data collection: ( 7680) seconds. recommended polling time: ( 90) minutes. $ sudo smartctl -a /dev/sdb smartctl 6.6 2016-05-31 r4324 [x86_64-linux-4.15.0-30-generic] (local build) Copyright (C) 2002-16, Bruce Allen, Christian Franke, www.smartmontools.org === START OF INFORMATION SECTION === Model Family: Western Digital Caviar SE Serial ATA Device Model: WDC WD2500JS-19NCB1 Serial Number: WD-WCANK1638205 Firmware Version: 10.02E01 User Capacity: 250,058,268,160 bytes [250 GB] Sector Size: 512 bytes logical/physical Device is: In smartctl database [for details use: -P show] ATA Version is: ATA/ATAPI-7 (minor revision not indicated) Local Time is: Wed Aug 15 06:51:02 2018 JST SMART support is: Available - device has SMART capability. SMART support is: Enabled === START OF READ SMART DATA SECTION === SMART overall-health self-assessment test result: PASSED See vendor-specific Attribute list for marginal Attributes. General SMART Values: Offline data collection status: (0x84)	Offline data collection activity was suspended by an interrupting command from host. Auto Offline Data Collection: Enabled. Self-test execution status: ( 0)	The previous self-test routine completed without error or no self-test has ever been run. Total time to complete Offline data collection: ( 7680) seconds. Offline data collection capabilities: (0x7b) SMART execute Offline immediate. Auto Offline data collection on/off support. Suspend Offline collection upon new command. Offline surface scan supported. Self-test supported. Conveyance Self-test supported. Selective Self-test supported. SMART capabilities: (0x0003)	Saves SMART data before entering power-saving mode. Supports SMART auto save timer. Error logging capability: (0x01)	Error logging supported. General Purpose Logging supported. Short self-test routine recommended polling time: ( 2) minutes. Extended self-test routine recommended polling time: ( 90) minutes. Conveyance self-test routine recommended polling time: ( 6) minutes. SCT capabilities: (0x103f)	SCT Status supported. SCT Error Recovery Control supported. SCT Feature Control supported. SCT Data Table supported. SMART Attributes Data Structure revision number: 16 Vendor Specific SMART Attributes with Thresholds: ID# ATTRIBUTE_NAME FLAG VALUE WORST THRESH TYPE UPDATED WHEN_FAILED RAW_VALUE 1 Raw_Read_Error_Rate 0x000f 200 200 051 Pre-fail Always - 0 3 Spin_Up_Time 0x0003 211 182 021 Pre-fail Always - 4441 4 Start_Stop_Count 0x0032 093 093 000 Old_age Always - 7644 5 Reallocated_Sector_Ct 0x0033 200 200 140 Pre-fail Always - 0 7 Seek_Error_Rate 0x000f 200 200 051 Pre-fail Always - 0 9 Power_On_Hours 0x0032 066 066 000 Old_age Always - 25509 10 Spin_Retry_Count 0x0013 100 100 051 Pre-fail Always - 0 11 Calibration_Retry_Count 0x0012 100 100 051 Old_age Always - 0 12 Power_Cycle_Count 0x0032 093 093 000 Old_age Always - 7638 190 Airflow_Temperature_Cel 0x0022 045 030 045 Old_age Always FAILING_NOW 55 194 Temperature_Celsius 0x0022 095 080 000 Old_age Always - 55 196 Reallocated_Event_Count 0x0032 200 200 000 Old_age Always - 0 197 Current_Pending_Sector 0x0012 200 200 000 Old_age Always - 0 198 Offline_Uncorrectable 0x0010 200 200 000 Old_age Offline - 0 199 UDMA_CRC_Error_Count 0x003e 200 200 000 Old_age Always - 1 200 Multi_Zone_Error_Rate 0x0009 200 200 051 Pre-fail Offline - 0 SMART Error Log Version: 1 ATA Error Count: 2 CR = Command Register [HEX] FR = Features Register [HEX] SC = Sector Count Register [HEX] SN = Sector Number Register [HEX] CL = Cylinder Low Register [HEX] CH = Cylinder High Register [HEX] DH = Device/Head Register [HEX] DC = Device Command Register [HEX] ER = Error register [HEX] ST = Status register [HEX] Powered_Up_Time is measured from power on, and printed as DDd+hh:mm:SS.sss where DD=days, hh=hours, mm=minutes, SS=sec, and sss=millisec. It "wraps" after 49.710 days. Error 2 occurred at disk power-on lifetime: 7345 hours (306 days + 1 hours) When the command that caused the error occurred, the device was active or idle. After command completion occurred, registers were: ER ST SC SN CL CH DH -- -- -- -- -- -- -- 40 51 08 af 24 01 e0 Error: UNC 8 sectors at LBA = 0x000124af = 74927 Commands leading to the command that caused the error were: CR FR SC SN CL CH DH DC Powered_Up_Time Command/Feature_Name -- -- -- -- -- -- -- -- ---------------- -------------------- 25 d8 08 af 24 01 00 00 00:00:19.240 READ DMA EXT 25 d8 08 af 24 01 00 00 00:00:17.341 READ DMA EXT 25 d8 08 a7 24 01 00 00 00:00:17.341 READ DMA EXT 25 d8 08 9f 24 01 00 00 00:00:17.341 READ DMA EXT 25 d8 08 97 24 01 00 00 00:00:17.339 READ DMA EXT Error 1 occurred at disk power-on lifetime: 7345 hours (306 days + 1 hours) When the command that caused the error occurred, the device was active or idle. After command completion occurred, registers were: ER ST SC SN CL CH DH -- -- -- -- -- -- -- 40 51 08 af 24 01 e0 Error: UNC 8 sectors at LBA = 0x000124af = 74927 Commands leading to the command that caused the error were: CR FR SC SN CL CH DH DC Powered_Up_Time Command/Feature_Name -- -- -- -- -- -- -- -- ---------------- -------------------- 25 d8 08 af 24 01 00 00 00:00:17.341 READ DMA EXT 25 d8 08 a7 24 01 00 00 00:00:17.341 READ DMA EXT 25 d8 08 9f 24 01 00 00 00:00:17.341 READ DMA EXT 25 d8 08 97 24 01 00 00 00:00:17.339 READ DMA EXT 25 d8 08 d7 00 00 00 00 00:00:17.339 READ DMA EXT SMART Self-test log structure revision number 1 Num Test_Description Status Remaining LifeTime(hours) LBA_of_first_error # 1 Short offline Completed without error 00% 25508 - # 2 Short offline Completed without error 00% 25321 - SMART Selective self-test log data structure revision number 1 SPAN MIN_LBA MAX_LBA CURRENT_TEST_STATUS 1 0 0 Not_testing 2 0 0 Not_testing 3 0 0 Not_testing 4 0 0 Not_testing 5 0 0 Not_testing Selective self-test flags (0x0): After scanning selected spans, do NOT read-scan remainder of disk. If Selective self-test is pending on power-up, resume after 0 minute delay.